May | 2015 | WorstPlans.com updates every Monday! Amazing billiards tip for that will astound your friends and vex your foes. Don’t use it when playing for money, or you may get stabbed! Presumably this is because of the difficulty in quickly switching out equipment in a time-sensitive sports. But in a game like golf, where there is plenty of time between shots, golfers carry around a dozen or so clubs for use in various circumstances. This proposal is to apply the same golf-club-selection principle to pool / billiards / snooker. 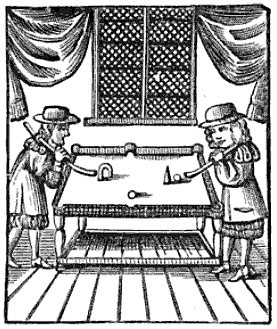 Fig 1: Billiards in 1674. Apparently played with croquet wickets and tiny pyramids for some reason. But instead of selecting different cues, players will actually replace the cue ball instead. This will allow for new shot opportunities (Fig 2). 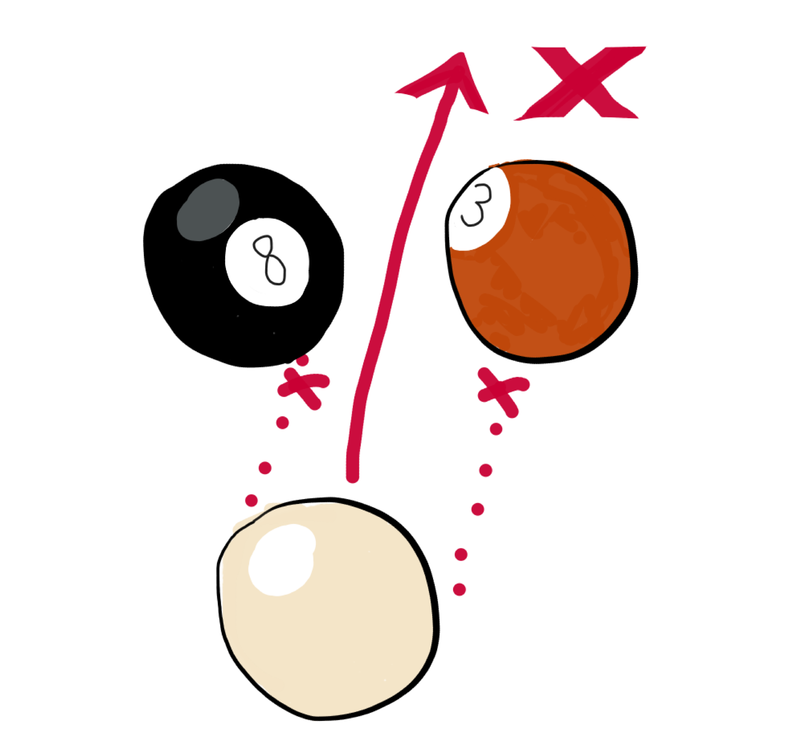 Fig 2: In this case, the player wants to shoot the cue ball between the 8 and the 3 balls, but this is impossible due to insufficient space. Fig 3: By selecting a tiny squash-ball-sized cue ball, the shot is now possible. 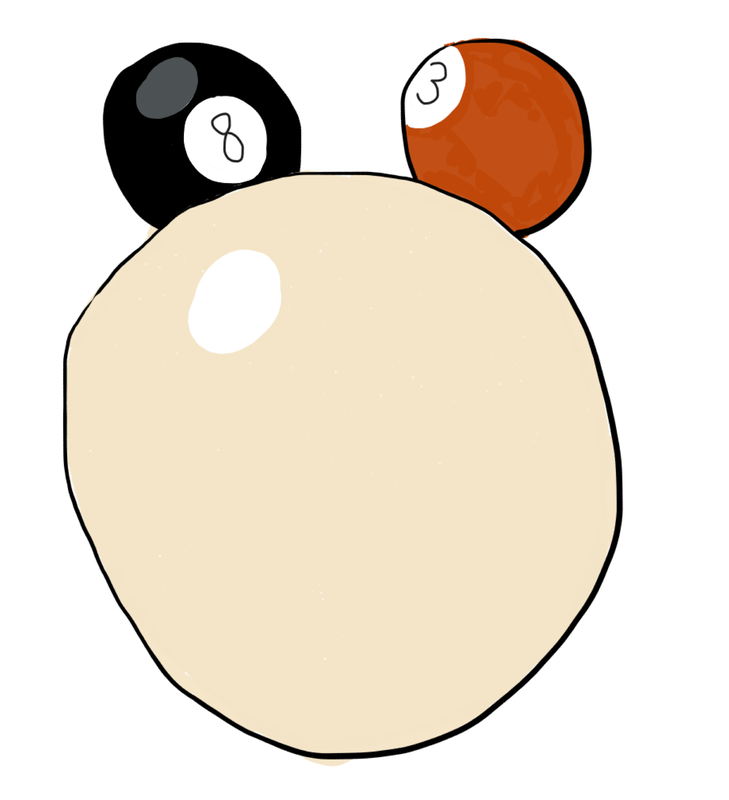 Various sizes of cue ball would be offered, for use in different situations (Fig 4). Selecting the right size for the current board configuration would be just one of the many decisions required for the game. Fig 4: Various sizes of cue ball would be used by an experienced player. 8 ball shown for scale. Fig 5: In some scenarios, it might be advantageous to select a huge grapefruit-sized cue ball. It would be difficult to keep this one from rolling off the table, which would also increase the skill ceiling of the game. Strangely, this “change the cue ball size” rule has never been implemented at any official tournament. Perhaps there were issues in the past with making a perfectly spherical cue ball beyond a certain size. Fortunately, modern technology has solved this problem! PROS: Adds new and amazing elements to the game, causing a renaissance in billiards techniques. CONS: It might be difficult to accurately place a different-sized ball on exactly the same spot as the original without some sort of technical aid. 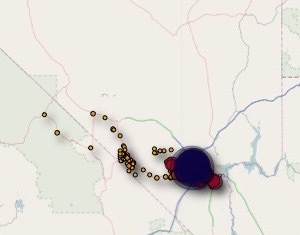 AudioNav: Navigate traffic by audio cues, like a bat. Note: bats are incapable of safely operating automobiles. When driving long distances, maintaining situational awareness on a boring stretch of road can be difficult. Additionally, distractions such as in-car music may prevent natural audio cues (for example, the sound of nearby cars) from being noticed by the driver. By using an array of rangefinders along the perimeter of a car, the AudioNav system can determine the location of nearby vehicles. This information is used to create audio cues, which are then piped through the car’s surround sound stereo system. 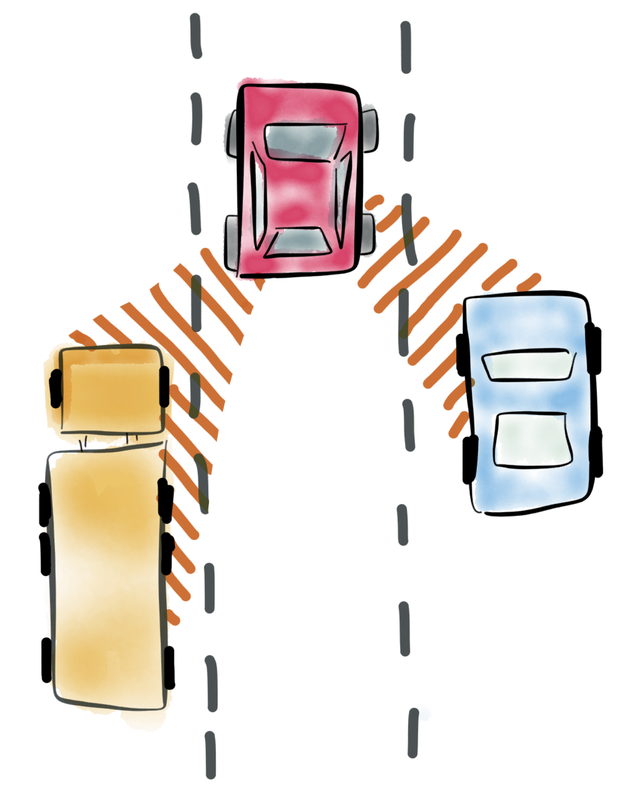 For example: a single car directly behind the vehicle would cause AudioNav to generate a constant tone from the rear speaker. A situation in which there was a car to the back-left and another one to the back-right would cause one tone to come from the rear-left speaker, and one tone to come from the rear-right speaker. Each audio cue has a pitch component (each detected vehicle is associated with a specific pitch) and a volume (closer vehicles generate louder audio cues). In other words, the system attempts to associate a particular sound with a particular vehicle, even as that vehicle moves around. This may be difficult. 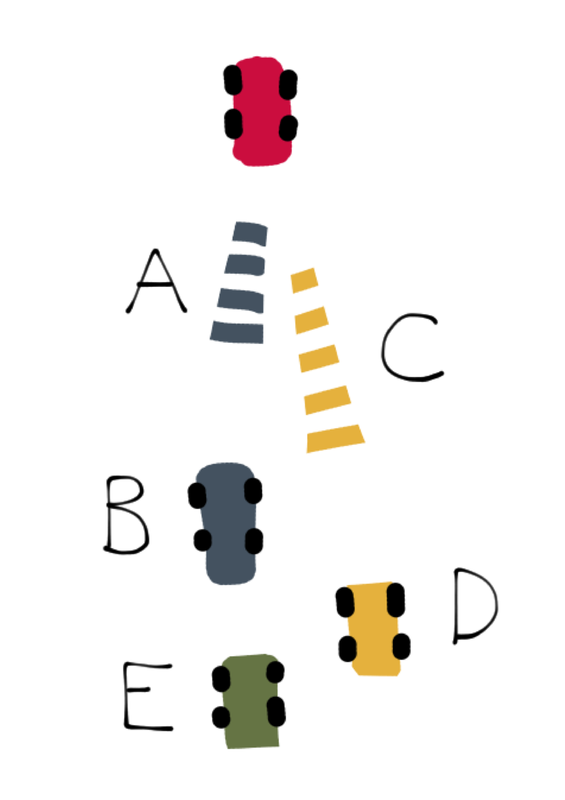 Fig 1: Rangefinders in the red car locate the nearby yellow truck and blue car. The yellow truck will cause the back-left speaker to generate a tone of one pitch, and the blue car will cause the back-right speaker to generate a tone of a different pitch. As the other vehicles move in relation to the red car, the car computer will make an effort to move each car’s tone in a corresponding fashion between the surround-sound speakers. 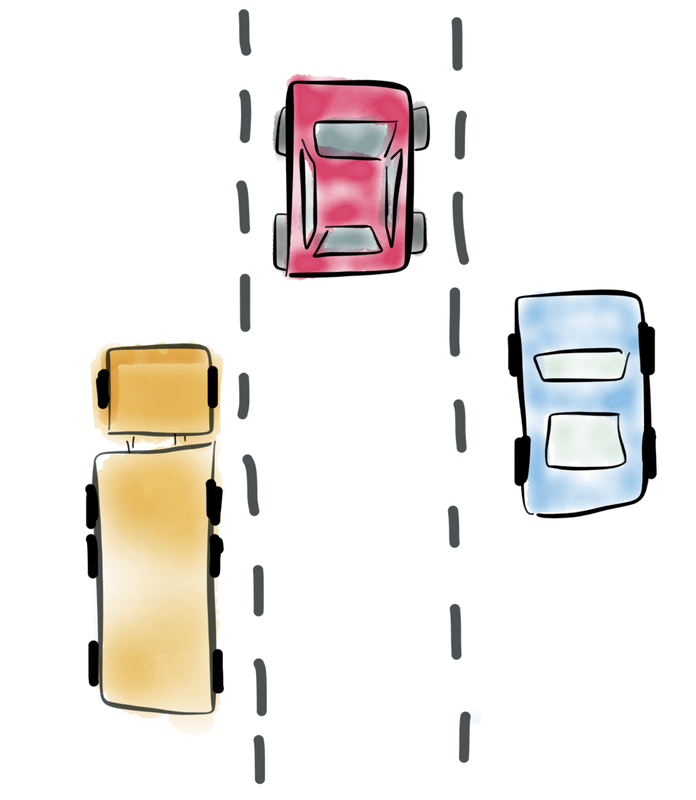 Fig 2: Some difficulties might arise in a complicated traffic scenario. 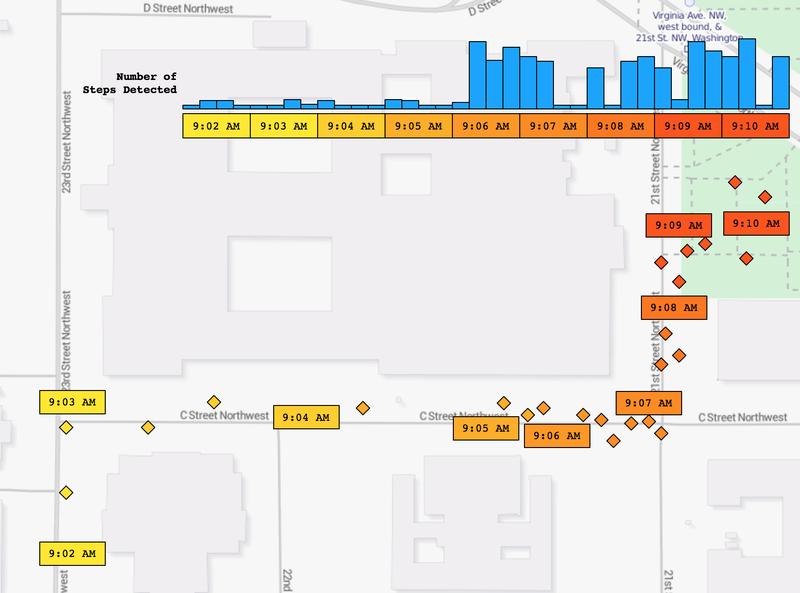 In this case, rangefinder A detects car B, and rangefinder C detects car D. Car E is obscured and will not generate an audio tone in the current traffic configuration. This might actually work! It would also provide another reason for a car buyer to purchase the highest-end stereo system, since the extra speakers would be required for the AudioNav system. PROS: It’s amazing! You should lobby for it to become a mandatory safety feature. CONS: Probably will be expensive! You’ll have to buy the model without the sunroof in order to afford the AudioNav feature.